According to the International Monetary Fund, Peru has been “Latin America’s economic performer” over the last decade, boasting one of the region’s fastest growing and most stable economies. But this economic boom has been marred by a dramatic rise in socio-environmental conflicts. Many of these conflicts are driven by the impacts of extractive industries on vital resources, especially water; and resolution efforts are complicated by the erosion of institutional capacities linked to the country’s extensive neoliberal reforms. In the absence of effective state-led mediation between the demands of civil society and the private sector, social resistance and conflict have become crucial means for citizens to promote public participation and institutional innovation in resource governance processes. Drawing upon cases in the mining and energy sectors, I illustrate the potential and precariousness of conflict-as-adaptive governance and highlight the importance of social capital and cross-sectoral learning in the negotiation of more just and sustainable resource futures. 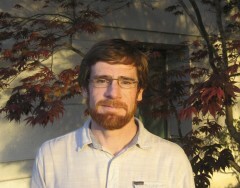 Adam French is a Ciriacy-Wantrup Postdoctoral Fellow in the Energy & Resources Group at UC, Berkeley. 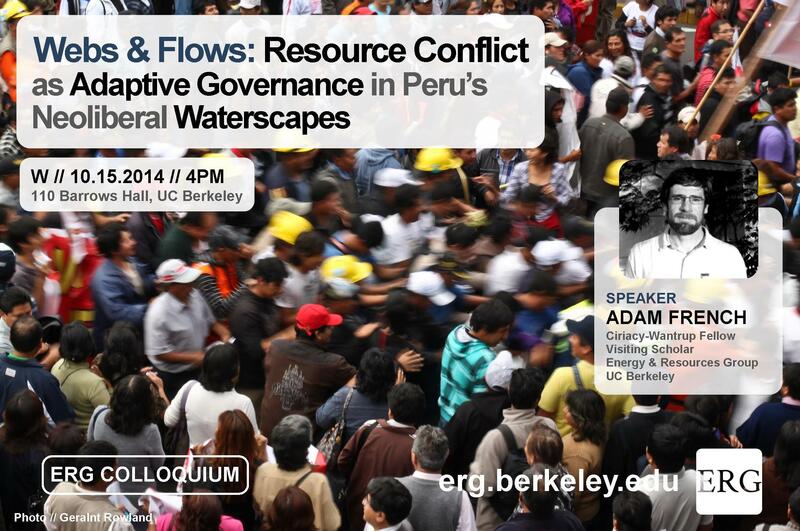 His cur­rent research focuses on resource gov­er­nance under the con­verg­ing impacts of cli­mate change, eco­nomic glob­al­iza­tion, and inter­na­tional devel­op­ment on Peru’s Pacific slope. He holds a Ph.D. in Envi­ron­men­tal Stud­ies from the Uni­ver­sity of Cal­i­for­nia, Santa Cruz, and is a found­ing co-director of the Trans­dis­ci­pli­nary Andean Research Net­work (TARN). He is a Research Associate of the Peru­vian Cen­ter for Social Stud­ies (CEPES) and has been a fel­low of the Fulbright-Hays Pro­gram, the Inter-American Foun­da­tion, and the Pacific Rim Research Pro­gram.